Come and celebrate the end of another fantastic season at Adel seeing many teams getting promoted and bucket loads of great hockey all around. What to expect on the night…. TICKETS ARE LIMITED SO YOU MUST BUY QUICKLY, it will be done on a first come first served, to secure your place you must have paid £40 for your ticket. 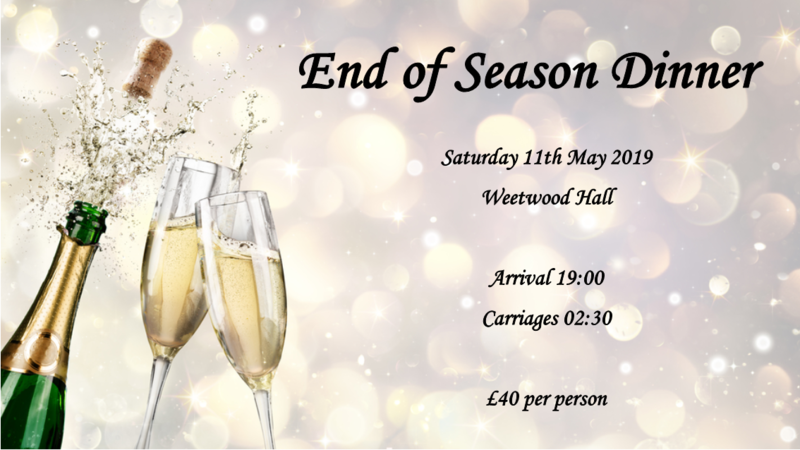 To book, please call Weetwood and quote ‘Adel end of season dinner on 11th May’ to get these rates. Any questions please do not hesitate to ask Ellie, Jamesy or your team captain.